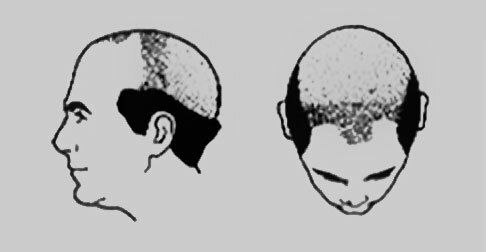 The Norwood Hamilton scale is the generally accepted standard when describing and measuring the extent of male hair loss. 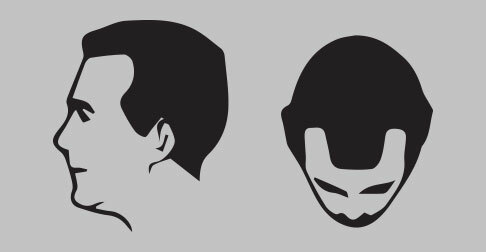 Men typically lose hair in several patterns. 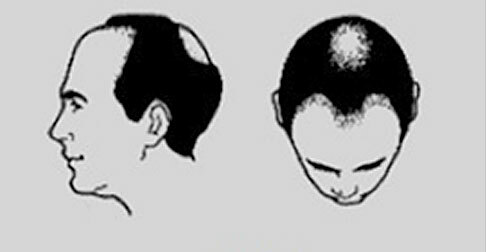 The most common are receding at the temples, on the top and back of the head and diffuse thinning where hair over large areas begins to thin, without a specific change to the hairline. 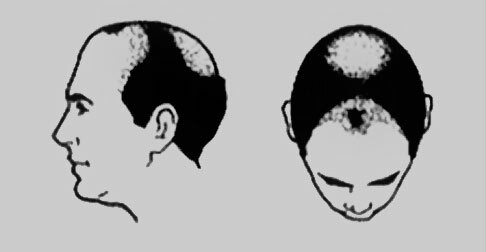 This hair loss classification system is often used as a common reference point against which to measure the efficacy of available treatment options. Normally, the further along a patient is on the Norwood Hamilton scale, the fewer effective hair loss treatments are available to them and the effectiveness of certain treatments becomes limited. Shows an adolescent hairline, generally located on the upper brow crease. 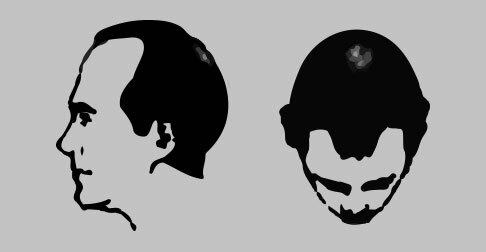 There is no hair loss at the hairline or crown of the head. Demonstrates the progression to an adult hairline, which sits slightly, approximately 1.5cm, above the upper brow crease. Hair loss at this stage is very mild and usually concentrated at the frontal hairline. This also does not represent balding. Represents early hair loss in the crown. Includes a deepening recession at the front of the head in the temple areas. 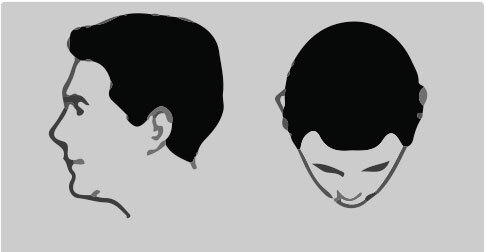 Hair loss at the crown is evident and often a bridge of moderately dense hair will separate hair loss at the front of the scalp from that at the vertex or the crown of the head. The sides of the head are typically well covered with hair. This stage marks the beginning of severe hair loss. While there remains a small separation between the loss of hair at the hairline and the loss of hair at the crown, the band of hair between the two is much thinner and narrower. 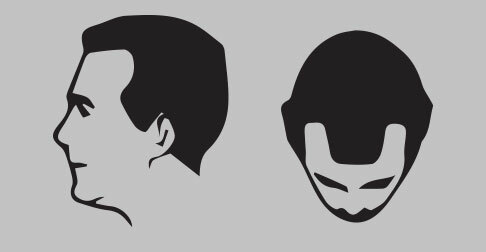 Hair loss at both the crown and the temporal regions are larger and more distinct. The bridge of hair that once separated the front of the head from the crown is now almost fully lost, only a few sparse strands may persist. The remaining hair now forms a horseshoe shape around the baldness concentrated in the center of the scalp. Hair loss on the sides of the head will also extend further at this stage. This is the most advanced stage of hair loss where only a wreath of thin hair remains on the sides and back of the scalp.